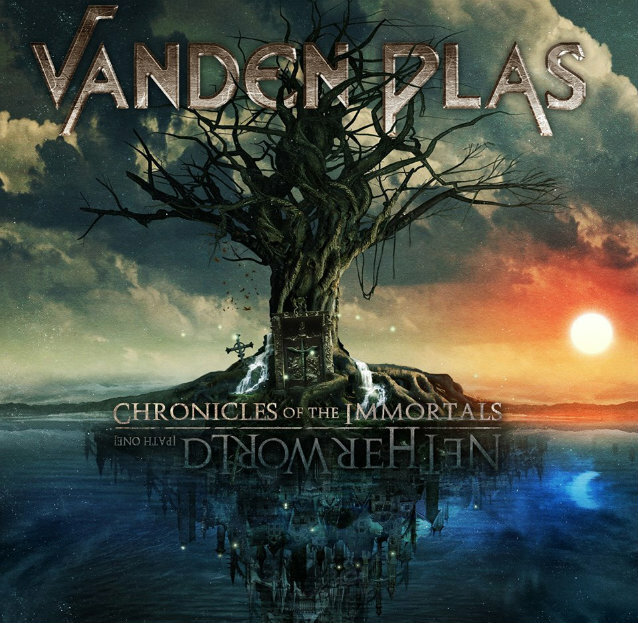 Frontiers Records will release VANDEN PLAS' new concept album, "Chronicles Of The Immortals - Netherworld (Path 1)", on February 21, 2014 in Europe and February 24, 2014 in North America. The official video for the song "Godmaker" can be seen below. With "Chronicles Of The Immortals - Netherworld", the German progressive metal combo continues the pattern of development from album to album that th eband's fans have grown accustomed to. This time the progress is quite substantial, since the input for this new release came from Wolfgang Hohlbein, who, with 43 million books sold worldwide, is not only Germany's biggest-selling author but also a fan of VANDEN PLAS. He suggested a creative collaboration: a rock opera for the stage based on his series "The Chronicle Of The Immortals". The result was "Bloodnight" ("Blutnacht"). The libretto was written by VANDEN PLAS singer Andy Kuntz, together with Hohlbein and his manager Dieter Winkler, himself a respected author. The VANDEN PLAS team of Stephan Lill, Günter Werno and Andy Kuntz composed 19 songs for the stage theater production. "Bloodnight", with Kuntz in the leading role and the VANDEN PLAS musicians in the orchestra pit, celebrated a stunning premiere on the stage of the Pfalztheater in Kaiserslautern in 2012. 25 sold-out performances in the 2012 and 2013 seasons with standing ovations that never seemed to end speak for themselves. Overwhelmed by this success, Hohlbein responded by writing another novel: the story of "Bloodnight". The next step for the band was to turn the successful theatre piece into an equally successful VANDEN PLAS album. "Chronicles of the Immortals - Netherworld" has 10 tracks comprising the first act of "Bloodnight". "Path 2", the second half of the album, is scheduled to bring the story to a conclusion in early 2015. Kuntz, in agreement with Hohlbein, adapted the stage version to fit an album format. On it he appears as the storyteller, so that unlike the stage production he is not only the main character Andrej Delany, but also embodies the roles of the other protagonists. In this way the storyline is richer and more easily understood by the listener for whom the powerful visions from the stage production are not available. The music of "Chronicles Of The Immortals - Netherworld" is pure VANDEN PLAS. 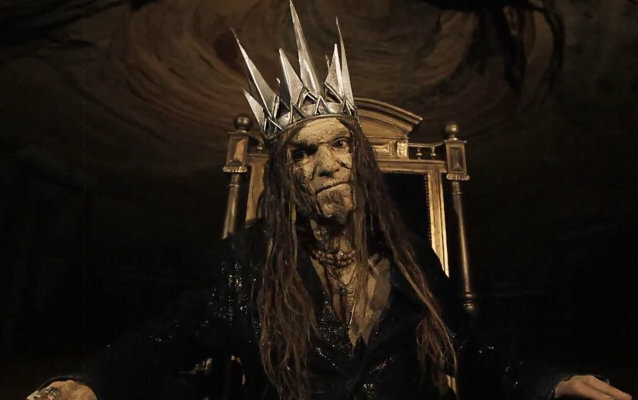 The songs are noticeably heavier than the stage version and several amendments to the live arrangements can be heard with certain scenes that were rewritten from scratch. Some large chorus scenes from the stage production reappear with stark intimacy on the album, while in other sections a lush orchestral accompaniment replaces the piano line that had led the action in the stage version. At the same time, all the elements come into play that have long been distinctive to VANDEN PLAS. Kuntz's incisive lyrics are interwoven with Lill's defining riffs and Werno's diverse keyboard parts. A solid base is provided by bass player Torsten Reichert and drummer Andreas Lill, whose collaboration has produced an atmosphere that seems more homogenous and transparent than ever. It is the attention paid to details that make this album different from any other earlier VANDEN PLAS recording. It is evident that this album recounts the story from a newly staged theatre production, which makes the VANDEN PLAS music to "Chronicles Of The Immortals - Netherworld" even more diversified and vivid. VANDEN PLAS fans will immediately feel at home with this album. Hohlbein was also thrilled from the first time he heard the music. He said: "Great album. I loved it! I'm happy that fans of 'The Chronicles Of The Immortals' can re-experience the story through the rock opera 'Bloodnight'."